Spatialities of Muslim identities focusing on performance of religiosity and negotiation of identity in the online space. Micro-geographies of young people’s lives focusing on their everyday use of new social media and their virtual mobility . Muslim Fashion focusing on hijab consumption and practices and the growing modest fashion in Brunei. Muslim Cosmopolitanism focusing on the use of new social media in creating cosmopolitans and how Muslim perform their cosmopolitanism online. Project Topic: Miscarriage and Still Birth: Bruneian Women Pregnancy Loss Experiences, Coping Strategies and Supporting Role of Health Care Professionals. Siti Mazidah Haji Mohamad (2007). Women in work: Breaking through the Glass Ceiling? An Analysis of Temporal Trends in the Occupational Attainments of Women and a Description of their Geographical Patterns in England and Wales. Unpublished Masters Thesis, University of Leeds. Siti Mazidah Haji Mohamad (2014). Rooted Muslim Cosmopolitanism: Malay Malaysian Students Cultivating and Performing Cosmopolitan Self on Facebook. PhD Thesis, University of Durham. (PDF Version). Siti Mazidah Haji Mohamad (2018) Hijab di Brunei Darussalam: Satu Kajian Konteks dan Amalan Hijab. Rampak Serantau, Bil. 25, Halaman 108-124. Dewan Bahasa dan Pustaka, Negara Brunei Darussalam. Siti Mazidah Haji Mohamad (2017). Performance of Religiosity on a ‘Techno-Religious’ Space. Advanced Science Letters. Volume 23, Issue 5. Siti Mazidah Haji Mohamad (2018). Self-Disclosure on Social Media in Brunei Darussalam. NTS-Asia Monograph 2018. (Submitted – May 2018. Pending Publication). Islam, S. N., Siti Mazidah Haji Mohamad, & Azad, A. K. (2019). Acacia Spp. : Invasive Trees Along the Brunei Coast, Borneo. In C. Makowski & C. W. Finkl (Eds. ), Impacts of Invasive Species on Coastal Environments - Coasts in Crisis (pp. 455–476). Springer. (Publisher's Link). Shafi Noor Islam, Siti Mazidah Haji Mohamad, Abul Kalam Azad (2018) Acacia Mangium: An Invasive Plant Species Along the Brunei Coast (Accepted. Pending Publication). Crang, M. & Haji Mohamad, Siti (2016) Researching virtual communities. In N. Clifford, M. Cope, S. French & T. Gillespie (Eds. ), Key Methods in Geography. London: Sage. (Publisher's Link). Siti Mazidah Haji Mohamad (2018). The Performance of Religiosity on Social Media: Three Future Research Directions. IAS Working Paper, 39. (PDF Version). 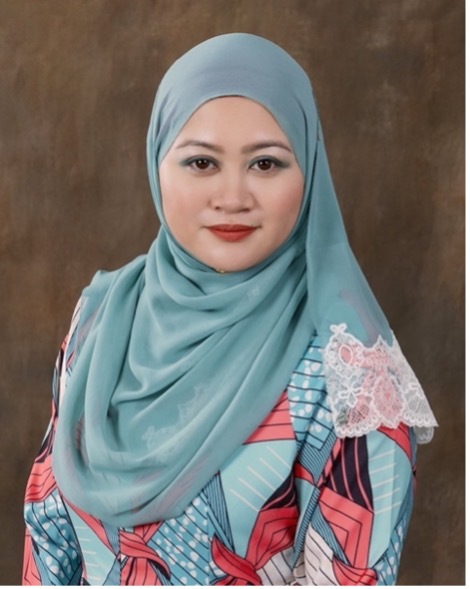 Siti Mazidah Haji Mohamad (2018). ‘Self-Disclosure in Brunei Darussalam’. Non-Traditional Securities Asia Consortium Annual Conference. Singapore, March. Siti Mazidah Haji Mohamad (2017). ‘Performance of Religiosity by Young People on Social Media - New Agenda for Geographies of Religion’. The 2017 Annual International Conference (RGS-IBG). In the Emerging Geographies of Religions, Spiritualties, and Faith session. August 2017. Siti Mazidah Haji Mohamad (2014). Facebook – A Cosmopolitan Space? Paper presented at the Global Studies Association Annual Conference – Cultural Encounters and Global Connectivity. St. John’s University, York. July 2014. Siti Mazidah Haji Mohamad (2013). Negotiating Collapsed Context – Performance of Cosmopolitanism on Facebook. Paper presented at the Global Studies Association Annual Conference – The Cosmopolitan Ideal: Challenges And Opportunities. Roehampton University, London. July 2013. Siti Mazidah Haji Mohamad (2013). ‘From Cosmopolitan Sensibilities to Sociabilities. Malay Malaysian Students’ Negotiation and Performance of Cosmopolitan Identity on Facebook. Paper presented at the New Agendas for Youth and Young Adulthood: Youth Studies Conference. University of Glasgow, Scotland. April 2013. Siti Mazidah Haji Mohamad (2013). ‘You Carry Your Identity Wherever You Go’ – Cosmopolitan ‘New Malay’ (Melayu Baru) Identity Negotiation and Performance on Facebook. Paper presented at Youth 2.0: Connecting, Sharing and Empowering? Affordances, Uses and Risks of Social Media. University of Antwerp, Belgium. March 2013. Siti Mazidah Haji Mohamad (2012). Malaysian Youth Rediscovering and Renegotiating their Identities in a Cosmopolitan Society through a Social Network Site (SNS). Paper presented at the RGS-IBG Annual International Conference. Edinburgh, United kingdom. July 2012. Siti Mazidah Haji Mohamad (2012). Discovering and Negotiating a Cosmopolitan Self Online: From Cosmopolitan Sensibility to Sociability. Paper presented at the Human Geography Annual Postgraduate Conference, Geography Department. Durham, United Kingdom. April 2012. Siti Mazidah Haji Mohamad (2011). Beyond Ethno-Cultural Identification: Malaysian Youth Rediscovering and Renegotiating their Identities in a Cosmopolitan Society through a Social Network Site (SNS). Paper presented at the Human Geography Annual Postgraduate Conference, Geography Department. Durham, United kingdom. May 2011. ‘Where am I, Where Am I Going?’ Answer This with GIS. Public Presentation – World GIS Day 2007, Sixth Form Centres Brunei. 14th-17th April 2008. GIS and Gender Studies: An Example of GIS Application for Research on Population Census. Public Presentation – World GIS Day 2007, Survey Department Ministry of Development. Brunei Darussalam. November 2007.